Jack C. Liu, founder of RelayX and previous long time senior executive and current advisor of OK Group, has officially partnered with OKEx to launch Float SV, a BSV based exchange. The exchange is to be built on top of the OKNodes Program and brings his career full circle as he returns to the cryptocurrency giant as a partner; leveraging OKEx’s technology while bringing his own taste and values to the surface. Float SV will deliver a real asset exchange experience by committing to only list blockchains running Proof of Work SHA256 and real assets such as commodities and currencies. Float SV will not list native tokens of other blockchains nor securities or STOs. A portion of Float exchange revenues will be reinvested into Proof of Work. The OKNodes Program is a white-label solution provided by OKEx to support aspiring teams to establish their own digital asset exchanges. As an OK Partner, Float will share liquidity, user pool and technical infrastructure with OKEx and help make improvements to OKNode for the benefit of other creative partners. “I have learned more from Star than can be explained, and it is great to be back leveraging OK’s trusted and scalable exchange infrastructure with which I am very familiar with. 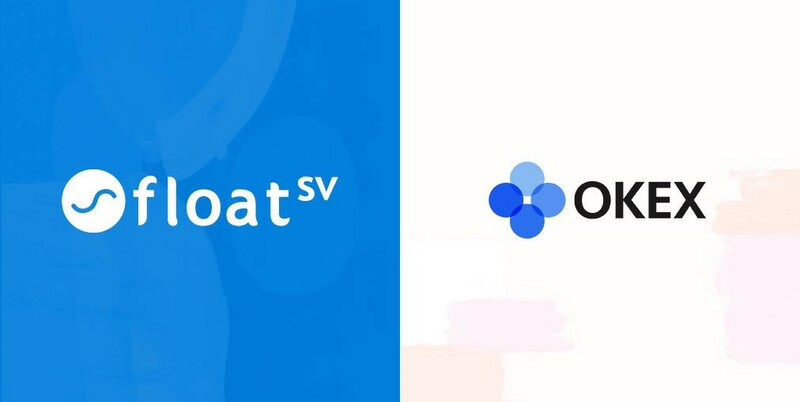 Float SV can count on OK’s track record of being a neutral technology platform.” Jack C. Liu, Founder and CEO, Float SV. Float SV will launch in April, although the exact timing will be adjusted forward if any major exchange delists Bitcoin (SV). Jack Liu is a prolific entrepreneur in the Bitcoin industry. He is the founder of RelayX, a technology company with a mission to enable everyone to participate in the real-time economy. He previously served as Managing Director at Circle, where he led Asia OTC institutional trading, and created Bitcoin SV prefork exchange at Poloniex. Before that, Jack served as Chief Strategy Officer of OK Group since 2014, co-founded OKLink global Bitcoin settlement network in 2016, and launched OKEx Bitcoin Cash prefork trading in 2017. OKEx is a world-leading digital asset exchange, providing advanced financial services to traders worldwide leveraging blockchain technology. The OKEx platform offers spot & derivatives trading helping traders optimize their strategy. It provides a safe, reliable and stable environment for digital assets trading via web interface and mobile app by adopting GSLB, and distributed server clusters. OKEx believes blockchain technology will eliminate barriers to transactions, increase the efficiency of transactions across society, and eventually have a significant impact on the global economy. It strives to achieve something that changes the world and never stop to innovate and improve on the customer experience.